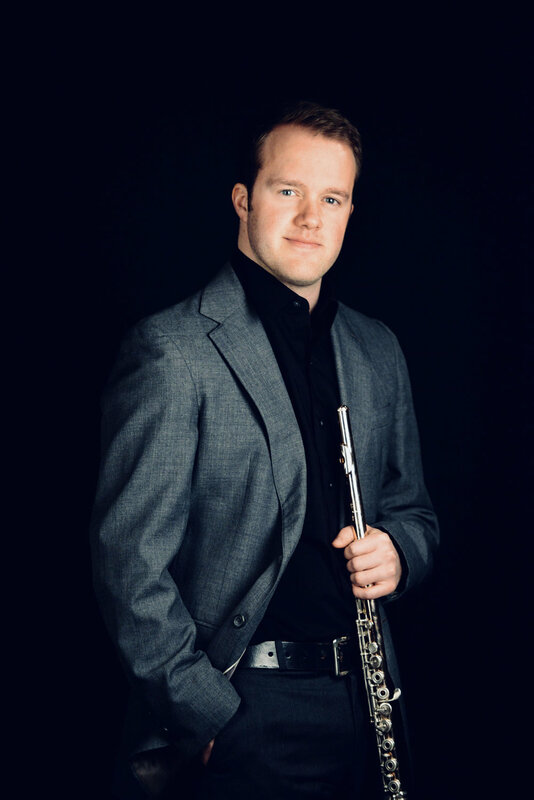 Patrick Williams was appointed associate principal flutist of the Philadelphia Orchestra in 2018 by Maestro Yannick Nézet-Séguin. He was previously the principal flutist of the Louisiana Philharmonic Orchestra and co-principal flutist of the Hyogo Performing Arts Center Orchestra in Nishinomiya, Japan. Mr. Williams has also performed in ensembles such as the Chicago Symphony, the Pittsburgh Symphony, the Columbus Symphony, the Fort Worth Symphony, the Princeton Symphony and the Pacific Music Festival Orchestra in Sapporo, Japan. During the 2010 and 2011 seasons he was the Flute Fellowship recipient at the Aspen Music Festival mentored by Mark Sparks. Mr. Williams has collaborated with Maestros Sir Simon Rattle, Vladimir Jurowski, Fabio Luisi, Sir Neville Marriner, Robert Spano, Michael Stern, Rossen Milanov, and Otto-Werner Mueller. Mr. Williams served as adjunct professor of flute at Xavier University of New Orleans, and has been a clinician at Interlochen Arts Academy, Loyola University of New Orleans, and Louisiana State University. In addition to teaching Mr. Williams has regularly participated in youth concerts and outreach programs for the Louisiana Philharmonic Orchestra, the Hyogo Performing Arts Center, the New York Pops Orchestra, Music at Angel Fire, and Curtis Institute of Music. A proud Colorado native, Mr. Williams began studying the Suzuki flute method in Steamboat Springs, Colorado. After just 1 year of study, he traveled to Nagano, Japan, to perform with thousands of Suzuki students in a multicultural celebration during the 1998 Olympics. Mr. Williams attended the Interlochen Arts Academy High School studying with Nancy Stagnitta, and graduated with a distinguished award for excellence in flute performance. At the Oberlin College and Conservatory of Music, he studied with Michel Debost while pursuing a double degree in flute performance and environmental studies. Mr. Williams received his performance degree at the Curtis Institute of Music under the direction of Jeffrey Khaner.